The Currency Exchange Fund (TCX) is a +$500 million fund founded by the Dutch development bank FMO and the Dutch government. TCX’s mission is to offer development lenders currency hedging in markets where no commercial hedging options currently exist. This makes it virtually the only option for hedging in the neediest, yet highest risk markets. As an investor in TCX, MFX receives access to hedging capacity in a wide range of exotic currencies allowing it to re-hedge the risk it takes with its clients in the same way an insurance company uses reinsurance. By offsetting the currency risk on its own balance sheet, MFX can build a portfolio of hedges with microfinance clients and remain a strong counterparty for the industry. MFX is supported by a AAA $168 million credit guarantee from the US Government’s Overseas Private Investment Corporation (OPIC). Our OPIC guarantee allows us to trade on favorable terms with TCX and commercial banks, while minimizing MFX’s liquidity requirements. The OPIC guarantee is the key reason we can trade on attractive collateral terms with our clients. Through its partnership with MFX, OPIC is promoting safer lending practices in the impact investment industry by removing the prohibitive costs of collateral for impact lenders and borrowers hedging their currency risk. Deutsche Bank, Germany’s leading bank, was founded in Berlin in 1870 and has a stronghold in Europe, the Americas, and Asia Pacific. MFX’s Partnership with Deutsche Bank allows us to have access to serve our clients through a universal bank counterparty to hedge a wide variety of currencies. Scotiabank, founded in 1832 in Halifax, Nova Scotia, is a Canadian multinational bank and leading financial services provider in North America, Latin America, Central America, and the Asia Pacific. It is the third largest bank in Canada based on deposits and market capitalization size. Scotiabank prides itself on its philosophy of social responsibility and environmental impact in the countries in which it serves. This aligns with MFX’s socially-oriented mission in the microfinance industry and our partnership with Scotiabank provides us with a large range of currencies to better serve our clients in the process. The Australia and New Zealand Banking Group Limited (ANZ) is MFX’s most recent bank counterparty partnership, providing support for our clients primarily in the Asia based markets, but also in various other deliverable and non-deliverable currencies. ANZ was founded in 1835 and is based in Melbourne, serving as Australia’s fourth largest bank based on market capitalization size. DLM Finance was founded in 2012 by individuals heavily involved in the set-up of The Currency Exchange Fund (“TCX”, also an MFX partner). DLM Finance structured itself to offer outsourcing services for the microfinance market from both a currency hedging perspective and loan administration and servicing perspective as well as provide experience in implementing treasury systems and processes. After a successful partnership with TCX, MFX became a partner to DLM in 2009. DLM Finance are the creators of DLM Trade Manager, which is a web-based trade operating system that complies with EMIR regulations. DLM also provides support to our back-office department in the area of valuations, risk management, and functional application management. Standard Chartered PLC, ranks among the top 20 companies in the FTSE-100 by market capitalisation. The London-headquartered Group has operated for over 150 years in some of the world’s most dynamic markets, leading the way in Asia, Africa and the Middle East. MFX’s Partnership with Standard Chartered allows us to help our clients access hedging in a wide variety of currencies. MFX evaluates the credit risk of its clients with a rigorous, independent credit evaluation process conducted by Luminis. Luminis, the first MFI rating agency and a leader in credit evaluation of MIVs, manages MFX’s counterparty credit evaluation based on a customized credit scoring system developed for MFX. By partnering with Luminis for this function, MFX avoids conflict of interest and assures consistency of pricing for clients. To read more about Luminis’ evaluation please visit our section on Becoming a Client. 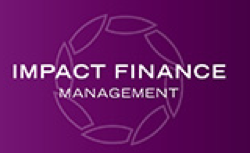 FMO is the Dutch government’s development bank and a leading development lender. FMO has provided MFX with a $20 million credit guarantee in parallel with OPIC and grant funding to help expand the reach of MFX’s educational programs. MFR offers a range of rating products to microfinance institutions (MFIs), to investors, regulators and networks. MFX is partnering with MFR to help with the credit due diligence process, particularly with MFIs. To read more about MFX’s credit due diligence evaluation please visit our section on Becoming a Client. The US Agency for International Development (USAID) has provided key early-stage funding to MFX’s education program.